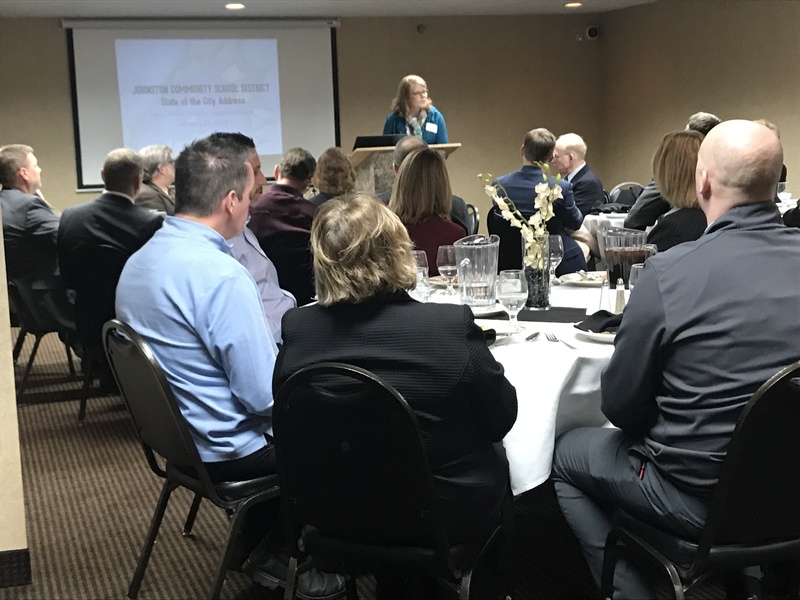 The Johnston Chamber of Commerce hosted its annual State of the City Luncheon, where attendees were able to hear important updates and planning information from city officials and other key leaders in the Johnston business community. 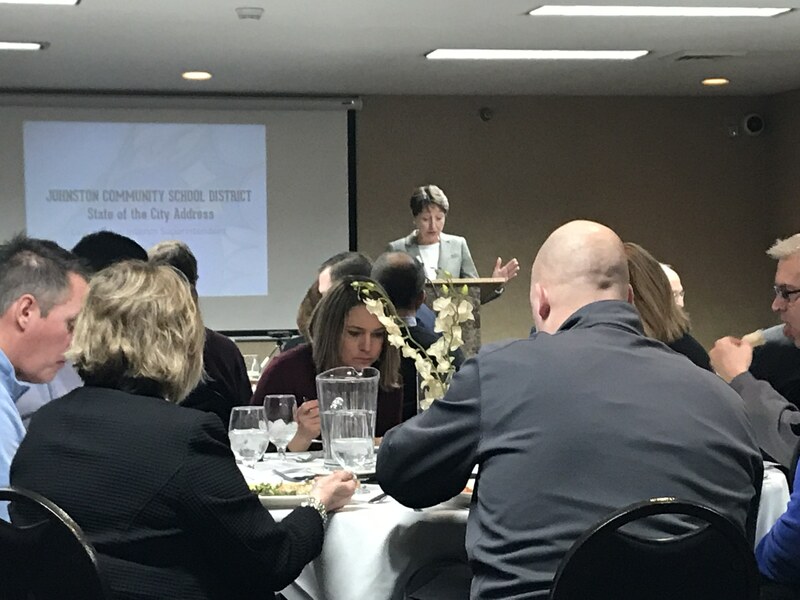 The State of the City Luncheon kicked off with Mayor Paula Dierenfeld sharing her excitement for the upcoming 50-year Anniversary of the City of Johnston, she continued by providing statistics from the recent City of Johnston Community Survey, which highlighted Johnston residents’ satisfaction of City services. The top strategic goals for the Johnston City Council in 2019 were also shared and included the Town Center project, the Merle Hay Road Gateway project, the Northwest Annexation area, Water Trails and Walkability. Laura Kacer, the Superintendent for the Johnston Community School district shared the “Portrait of a Learner” initiative of the school district, which was developed by educators, parents, business leaders and community focus groups. Examples of how this initiative is being implemented in the classroom were shared. The “Portrait of a Learner” is made up of seven focus areas including: Collaboration, Community & Global Mindedness, Complex Communication, Creativity & Innovation, Critical Thinking, Flexibility & Adaptability, and Productivity & Accountability. 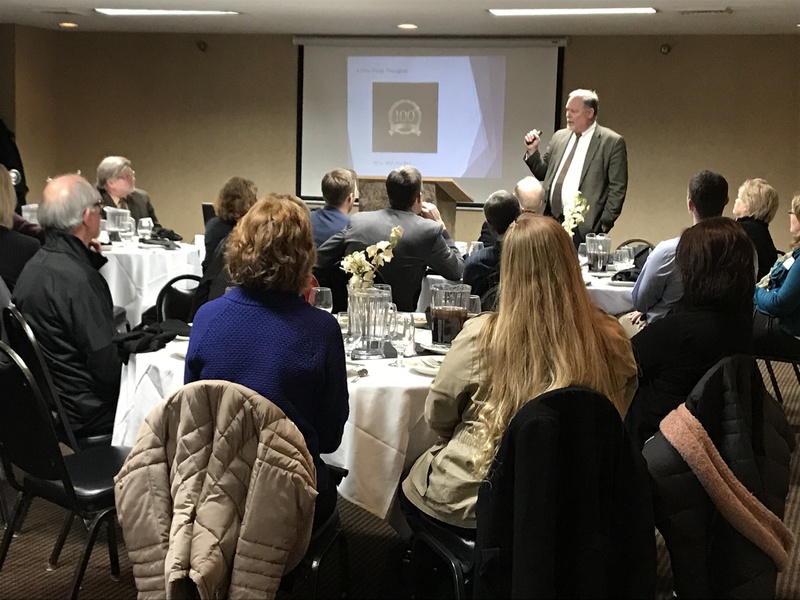 Phil Dunshee, Director of Johnston Economic Development Corporation concluded the presentations by providing a recap of development activity in 2018 and a look ahead to exciting projects that will occur in 2019. Areas of focus included transportation infrastructure, housing advancements, recreation advancements and commercial development. Review the full presentation below for more details.